I'm ready for fall, but it's still 101 degrees outside in Texas. I am craving chili, spaghetti, risotto . . . anything made in a big pot!!! But these steamy days give me an excuse for more man-time/grill-time. Sweet and Sour Pork Chops from Saveur has been on my list for some time now. You make an ooey-gooey glaze (honey makes it sweet, balsamic vinegar makes is sour), which smells not-that-great on the stovetop. 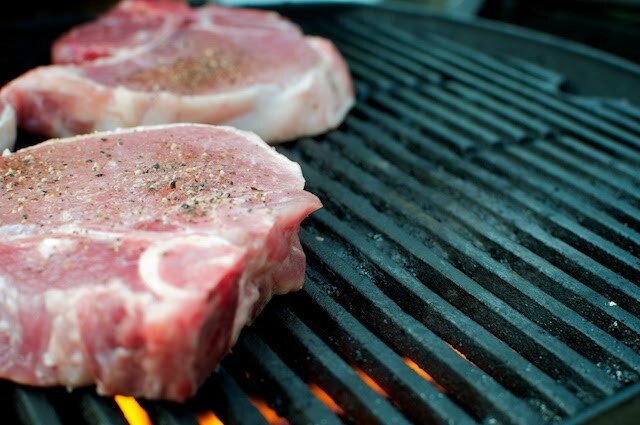 Luckily it transforms into something magical when it smothers the chops on the grill. 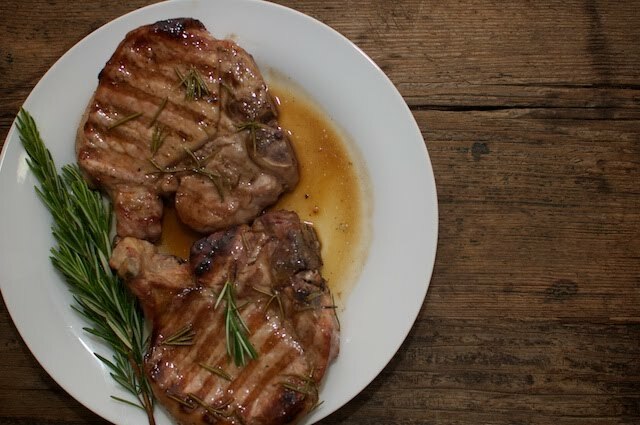 Put pork chops on a plate. Drizzle with generous serving of olive oil, salt and pepper. Let sit for 30 minutes. 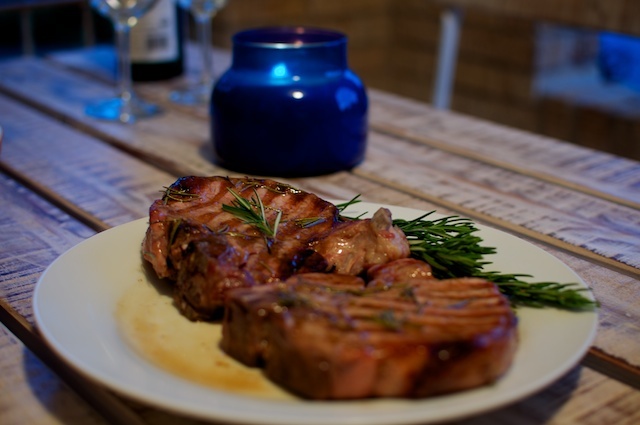 While grill heats up, combine vinegar and honey in a medium saucepan, and cook over medium heat until reduced to 1/4 cup. Add butter and rosemary while stirring. Once butter is completely combined into sauce, remove from heat and set aside.